This product is currently not available online! YOUR COMPANION FOR MOUNTAIN ADVENTURES! 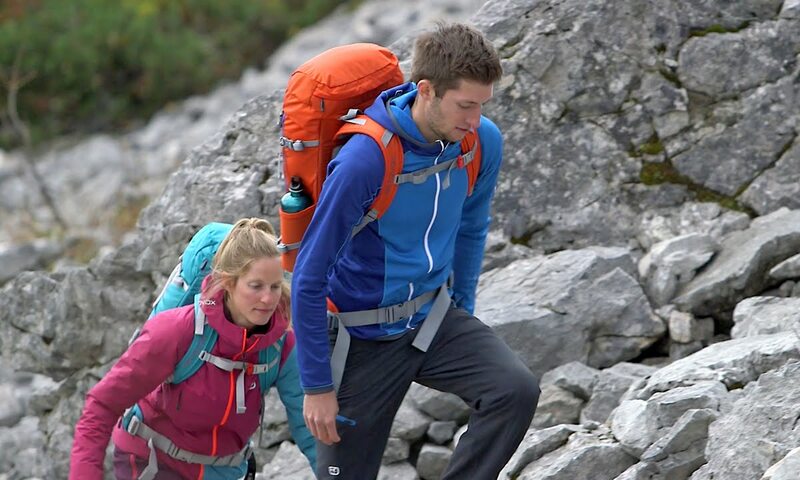 The TRAVERSE 18 S is a fully equipped backpack for men and women with short backs. The back system in this model is considerably shorter. The “S” in the name stands for SHORT. The TRAVERSE 18 S backpack is most at home on day tours. The ergonomically shaped shoulder straps and the broad hip belt ensure a balanced distribution of weight. With its large main compartment and several additional compartments, this backpack offers plenty of storage space for equipment. Smaller objects can be quickly stowed away in the slot compartment on the front, and your drinking bottle is always close at hand in the elastic side compartments. Features such as a rain cover and hiking pole fastening are also included, as is hydration system compatibility, a hip pocket and a holder for sunglasses on the shoulder strap. The TRAVERSE 18 S is rounded off with images of Alpine emergency signals on the inside. The contact pads in our ALPINE SERIES light-weight back system ensure permanent circulation of air, and make our backpacks a pleasure to wear during activities that involve a great deal of movement. In addition, the soft pads offer extremely high wear comfort. Weight 1 lb. 14.7 oz. Der Rucksack eignet sich perfekt für kurze Tagestouren. Er ist schön leicht und kompakt. Man kann den Rucksack gut für den optimalen Tragekomfort einstellen. Besonders gut finde ich die Trinksystemvorbereitung.